IMC Models produced a great model of the AGV. 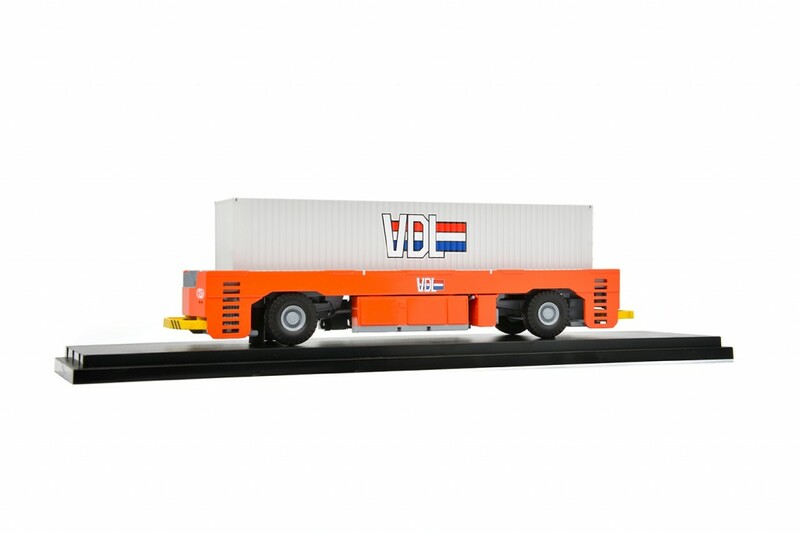 The model will be delivered in a showcase including a 45ft container with VDL logo. Only 25 pcs are available for collectors. The fully automated guided vehicles of VDL are developed for the handling 20’, 40’ and 45’ ISO containers on large port container terminals. The VDL AGV can handle loads of up to 70 tonnes with a maximum speed of 6 metres per second. The available expertise within VDL on development and manufacturing of advanced equipment and vehicles enabled us to create this high performance and environmentally friendly container carrier AGV with superior characteristics regarding fuel efficiency, CO2 emission, noise levels, reliability and maintainability. 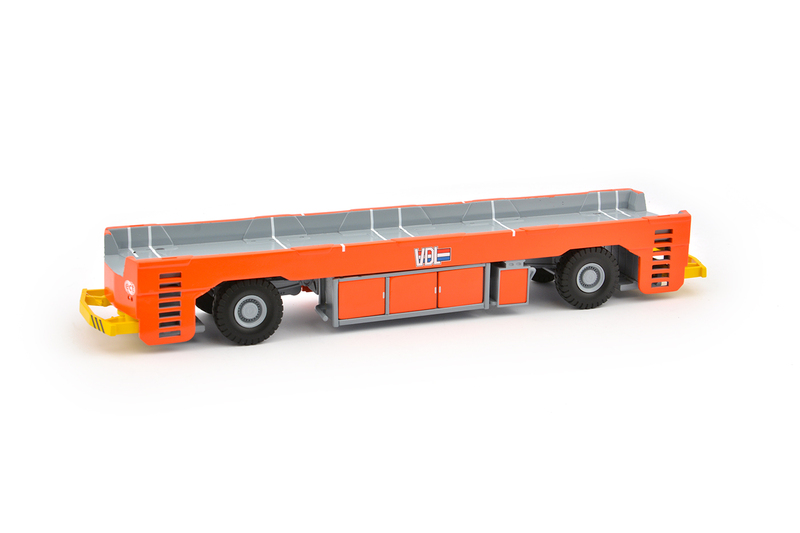 The steering of the VDL AGV is very precise; this leads to the capability to move containers in tight spaces and could potentially reduce the terminal surface area. To ensure the required performance in combination with reduced fuel and maintenance costs, VDL offers an electrically driven diesel-Hybrid AGV. A small diesel engine drives a generator powering the electric motors and when peak power is required, ultra capacitors provide additional energy. To reduce the lifecycle cost the AGV has a maintenance friendly set up to maximize accessibility and reduce maintenance hours.